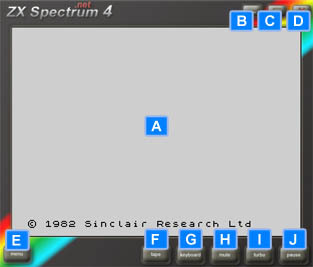 Firstly: the nostalgia we all remember the classic ZX Spectrum (if not your going to love it, now that's a guarantee !) warts-n-all the Spectrum was for many very entertaining and for many the first home computer - being homebred here in the UK it was hugely successful, Clive Sinclair was a British hero, rightly so. Emulate all the original Sinclair Spectrum models16k, 48k, 128k, +2, and +3 (including floppy disk drive), Screen (wouldn't be much good without it) inc. correct timing and borders -( Vectron, Arkanoid, The Sentinel ), Sound, Memory delays, load tape files and snap shot files inc. tzx tap z80 sna wav - original analogue tape via external cassette deck and sound card, or even mp3 player, plus Joystick interfaces Kempston, Sinclair. Its pretty much a complete ZX Spectrum. 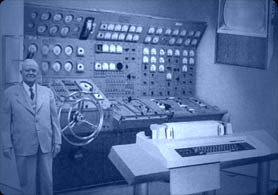 We've played lots of games, loaded programs, written machine code and basic ... removed bugs, all is well, but there are so many programs (countless over10,000s known tapes) all with possibilities for error so without spending months on testing we wont find them all.. that's where you feed back any bugs you may have found. If automatic setup fails please use the manual download below. Although you can still follow the path below there's a much quicker way to load games, drag and drop your games on to the TV screen and the emulator will do the rest!!! 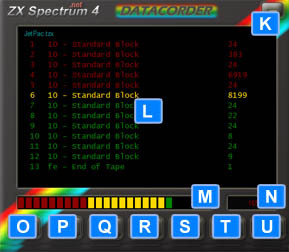 If you select a .tzx or .tap file go to the TV Screen and type: Load "" ( to do this on your keyboard first press the keys j then holding down CTRL press p twice, now press Enter) and the inserted tape will now begin to play. We've now included a couple of games in different formats to help those non technical get started. Select under Menu | Controller. Fixed border timing, now in sync with the CRT beam. Select under Menu | Hardware. Let us know if you have one which doesn't load. Resolution bug fix for screen size Windows 7, Vista, etc. Added undocumented port behaviour now the only emulator with port #FE & bit 6 delay, never seen this emulated so may come in handy one day!